I recently dropped by to see Emily Carr, the well known West Coast artist and writer, and, yes, she’s been dead since 1945. That doesn’t stop people like myself from visting her gravesite in Victoria’s Ross Bay Cemetery. The cemetery is the final resting place for a who’s who of British Columbia history but it’s only Carr’s site that draws fans who leave notes, and art supplies and pens. Carr’s artwork can be seen in many major Canadian galleries and her books, including Klee Wyck and The Book of Small and are still in print. 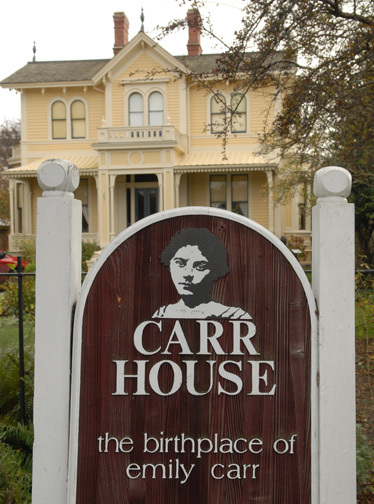 Fans can also visit Emily Carr House, the house where she was born which is maintained as a tribute to Carr and her work. 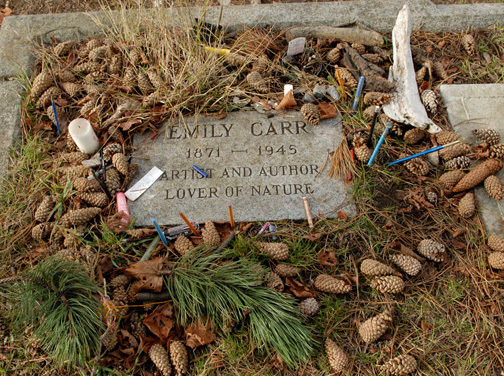 Carr’s grave marker surrounded by pine cones, pens, pencils, brushes and other items left by visitors. 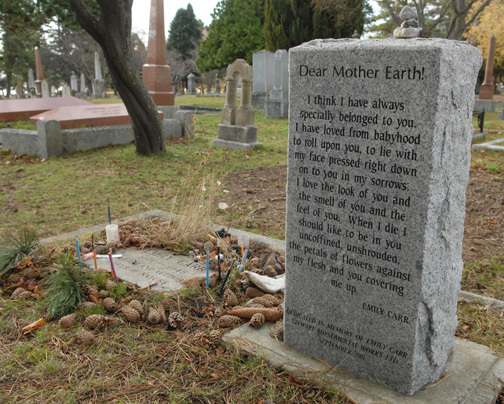 A sample of Carr’s writing at her grave site. 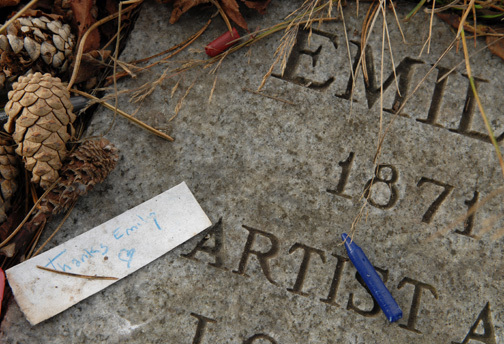 Hi Don – I found your 2008 site on Emily Carr only after I had put up a page on the EC grave on my blogspot this week (Feb.2009), a touching coincidence. Excellent photography and reportage. I wish you well in your endeavours.